Check out MAD About Shoes SALE happening on December 6-10, 2017 at SM North EDSA! Enjoy up to 50% discount from 10am to 11pm at SM North EDSA The Block, Level 3 (beside Watsons). Participating brands include: Skechers, Merrell, Sperry, Keds, Saucony, Pony, and Polo Ralph Lauren. 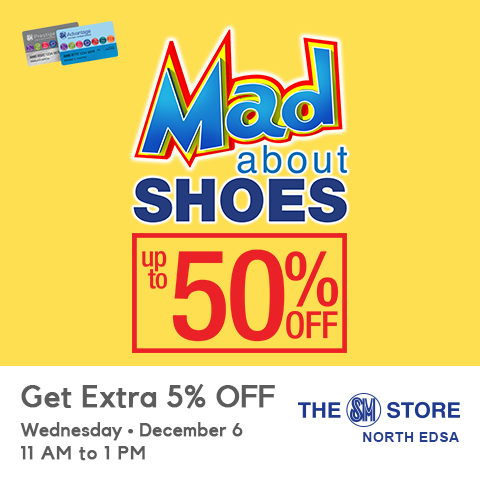 SM Advantage, SM Prestige, and BDO Rewards cardholders get extra 5% OFF on ALL items during the Mad About Shoes Sale on Wednesday, December 6, 2017, from 11am to 1pm. 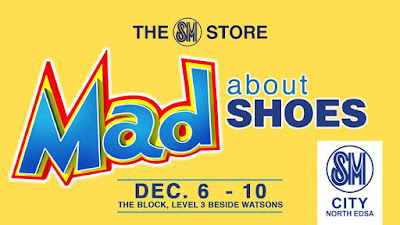 Don’t miss out on these amazing experience, so be sure to get the best shoe and apparel deals at Mad About Shoes!